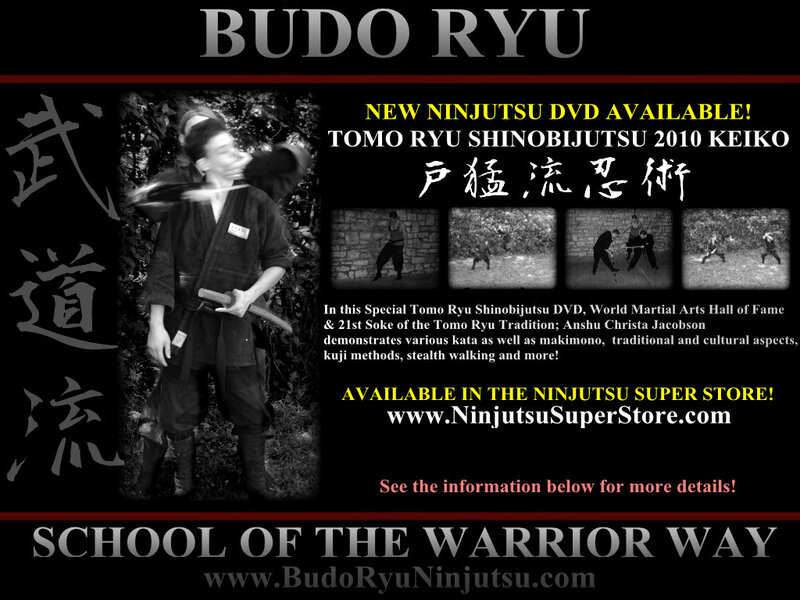 Here is the video promo of the 2011 Shinobi no Mono Stealth Camp! This is the 4th Annual Shinbobi Stealth Camp held by the Budo Ryu; School of the Warrior Wary. Headed by Soke; Anshu Christa Jacobson! This shows some of the training that took place at the event, we did not place everything on this video promo, but enough for the viewers to capture the meaning and essence of the training! In this video we use the music from ” The Final Cut; Friday the 13th Movie 2009″ as many of you know I was a music major and love the horror movies, mostly the music as it has so much depth with the transitions of the melody. That is why I choose this song as it has so much depth, so many things going on with the music, yet they all fit together to make this beautiful song. This was very symbolic of the training of the 2011 Shinobi no Mono Stealth Camp. This DVD will be released in the International Ninjutsu Super Store along with all of the videos that are released by the Budo Ryu! NEW TOMO RYU SHINOBIJUTSU DVD! VIEW THE FREE VIDEO PROMO & PURCHASE HERE! I HOPE THAT YOU ALL ENJOY THE NEW DVD! Ashi sabaki (足 さばき) or unsoku (运足)is a technique employed by a budoka in some Japanese martial arts. Ashi-sabaki is the way of moving your feet to move your body or when you hit, including ayumi-ashi, okuri-ashi, hiraki-ashi and tsugi-ashi. Ayumi-ashi is moving your feet backwards and forwards in big steps to move quickly, okuri-ashi is moving quickly in various directions in small steps, hiraki-ashi can be used to hit your opponent or avoid their strike while moving to the side, and tsugi-ashi is used when you need to hit your opponent from a long distance. These 10 steps above are found in the shoninki, and are the basics of all stealth movement; thus, these 10 should be taught in every “Ryu“. These are just some of the traditional ashi sabaki or foot skills of the ninja. 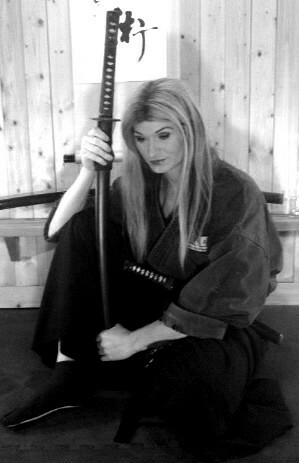 Make sure if you are learning a real ninja tradition that they are completly teaching you all of the ways of the ashi sabaki at it is a basic and fundemental aspect to the art of ninjutsu. Foot work is the basics of all marital arts, without the complete control of your foot movement, you cannot do any technique correctly in a real situation. Train your feet to go any where, any way! I hope that this helps in your training in Budo. Photo – Woodblock print of Kusunoki Masashige. I wrote 10 lessons on the art of war. Study these lessons well, to master them means you understand the true arts of war.